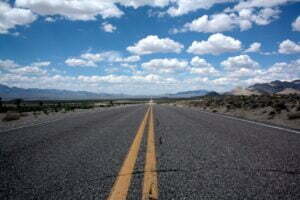 Start My Quote There is no better feeling than being out on the road, free from responsibility. With every mile, you stretch out further from the city limits. You may be climbing up some large hill, yearning for the brisk mountain air. Maybe you are cruising the coast hoping to reach the boarder. The winding roads and the flat desert landscapes all have something in common. They give you a feeling of freedom. You probably wouldn't feel the same amount of freedom without your insurance policy. Millions of riders every year get to experience the beauty of this country because of their motorcycle insurance. There is little worry, because they know they are covered. 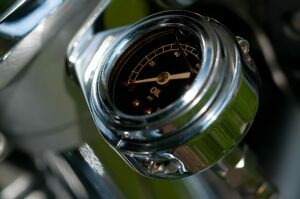 Motorcycle insurance can save you thousands of dollars. How? Because riding without insurance is a huge risk. And when you don't have insurance, the unforeseen accident is just waiting to empty your pockets. 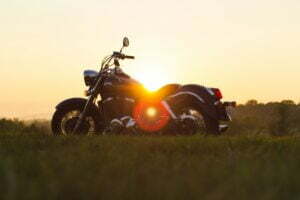 When shopping for the right kind of cheap motorcycle insurance, you want to make sure that all of your bases are covered. That is why you need us. Cheap Insurance has been helping riders for years. Obtain that insurance you deserve today! We all know that riding on the back of a motorcycle already puts you at a certain amount of risk. Some people ride to commute to work and save on gas. Others ride for fun. Whatever your pleasure, you need the best motorcycle insurance available. Whether you are just learning how to drive a motorcycle or have been cruising the highway for years, you need insurance. Cheap motorcycle insurance is similar to car insurance. Depending on which state you reside, there is a minimum amount of insurance you will need. Riding a motorcycle can be risky. Lower that risk with the cheap motorcycle insurance you deserve. Just like your auto insurance, it is a good idea to review your policy every six months to make sure you have the right coverage at the best price. There may be new discounts available. 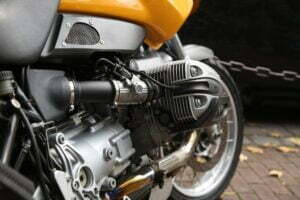 Discounts can be offered for taking a motorcycle safety course. They can also be offered to those who have sustained a good riding record for years. Protect yourself and your machine. Explore all of he options available for cheap motorcycle insurance with us. We have been in the insurance business for over 40 years. So let us help you find the policy you are really looking for. Let's take a look at what you might need. There are many other options available as well. Most of the time, the minimum coverage only covers the other party involved. Discounts for safety courses- there are many safety and training courses available and usually take up one whole day to complete. Discounts for more than one motorcycle- if you have multiple motorcycles or vehicles, you could bundle and save! 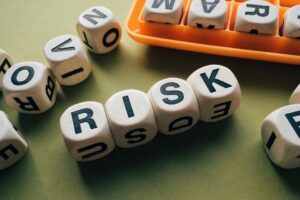 Discounts for being a safe driver- years of a good driving record will save you when searching for the right insurance. Uninsured Motorist- when the other party fails to carry insurance, you will still be covered. With motorcycle insurance from Cheap Insurance you can ride with ease knowing that your policy is customized for you. Whether you need comprehensive and collision coverage, liability coverage, roadside assistance, or other options, your policy will be specifically tailored to your needs. Speak with one of our expert agents to find the coverage you for need for your specific motorcycle or recreational vehicles. Mopeds are vehicles with two or three wheels (can be propelled by pedals) with a maximum speed of 30 mph and an engine with less than 50 ccs. 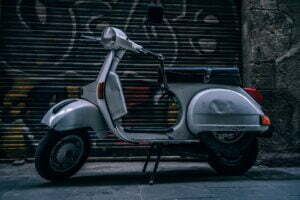 All cycles with more powerful engines and a faster maximum speed are classified as motorcycles/scooters (i.e., Vespas). You will still need to have your current proof of insurance and registration when riding. If you get pulled over, just like in a car, you will need to show these items. Most riders choose to have a special compartment on their bike where they can store this. Others wear in on their person. 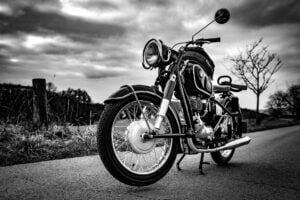 Motorcycle insurance does not always cover custom bikes. Talk to our representatives to find out more details on this. You are not required to have insurance on a dirt bike. However you also cannot ride a dirt bike on the street like a normal motorcycle. If you want to save money on your premiums, then choose a higher deductible. The best way to get a discount on your motorcycle insurance is by taking a safety course. Telling your insurance agency where and when you plan to ride could effect your premium. Also where you plan to park your motorcycle could be helpful to your agent. You could get your gear covered. Yes, the helmet that could save your life could be covered by insurance. Roadside Assistance is an invaluable tool. Use it! This doesn't just mean you will be covered for a tow, but for emergencies, flat tires, and battery service. Motorcycle insurance requirements change from state to state. Check out our motorcycle resources page to find out more information on this topic. Drinking and riding is the same as drinking and driving. Don't get caught doing either. Your bike will still have a license plate, and just like a car, you will need to make sure it has a backlighting so it can be seen at night. You can get coverage for these things with other types of insurance but not with specifically motorcycle insurance. 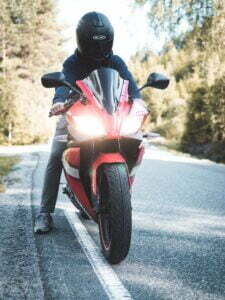 Even before you start to look into your motorcycle insurance, it is smart to figure out what type of bike will work for you. Riding a motorcycle is a little different that driving a car in respects to size and safety. Usually, beginner riders choose a bike with a smaller engine and a lightweight frame. This will make it easier for them to maneuver the bike. When you are looking to purchase a bike, it is a good idea to have someone help you. Maybe you have a friend or colleague who could give you some tips and advice. Take them! You must also pass your motorcycle course with the Department of Motor Vehicles. This course is usually done in a group and consists of showing your instructor how the bike works. It also involved a course which you must safely get through. Most motorcycle license courses only require you to wear a helmet. You might also consider other safety gear. There is also a written test which you must study and pass. In most cases you will need to bring with you your identification and proof of insurance. The purchase of your motorcycle could be a game-changer. If you find that the bike you purchase is too large or too fast for your liking, you might want to consider another bike. Remember, when riding out on the road, it isn't just your skills you will need to pay attention to, but the skills of other riders and drivers. More times than not, a motorcycle will be worse off in an accident than a car. Keep this in mind during your purchase. Accident- is an unintended event that causes loss to property or life. Bodily Injury Liability Coverage- coverage that pays for the injured party if you are at fault in an accident. Burglary and theft coverage- additional coverage that pays for loss due to criminal theft. Causality insurance- coverage for a person who is killed or injured in an accident. Deductible- A portion of a claim that is paid by the insured and is a set upon value agreed upon before hand. Usually the higher the deductible, the lower the premium. Evidence of insurance- A written proof of coverage for a specific amount of time. Driving under the influence- this applies to motorcycles as well. Any drug or alcohol consumption over the legal limit while behind the wheel is illegal. Full coverage- this is insurance that covers liability, collision, and comprehensive on a specific vehicle. Gross negligence- reckless behavior that specifically harms another without regard for their safety or property. Limits- the maximum amount of coverage provided under that policy. Motor-vehicle report- is a detailed accounting of a drivers record. Package policy- this is a policy that offers discounts for multiple policies. Premium- the cost of the policy which must be paid in order to have coverage. Total loss- this is when property is so damaged that the repair cost is more than the cost of the property. If you are ready to purchase your motorcycle insurance policy, we can help. You can get a quote online or call us at (800) 486-1866. If you prefer to purchase online, you can do so and still have your policy and paperwork in our e-mails inbox within minutes. Enter your type of purchase (motorcycle insurance). Enter in your zip code. This will help us to identify where you live and try and save you money based on this information. Answer a few short questions, and you are ready to go! If you feel that you have more questions or are unsatisfied with your quote, please call us Monday through Friday from 9Am to 5PM so that we can help you further. We at Cheap Insurance want you to feel like a million bucks! We understand that purchasing a motorcycle is a big decision. Make sure that you are fully prepared and covered with the correct amount of insurance. You and your family will feel more safe and secure becuase of it. Contact Cheap Insurance today for your Motorcycle Insurance needs!